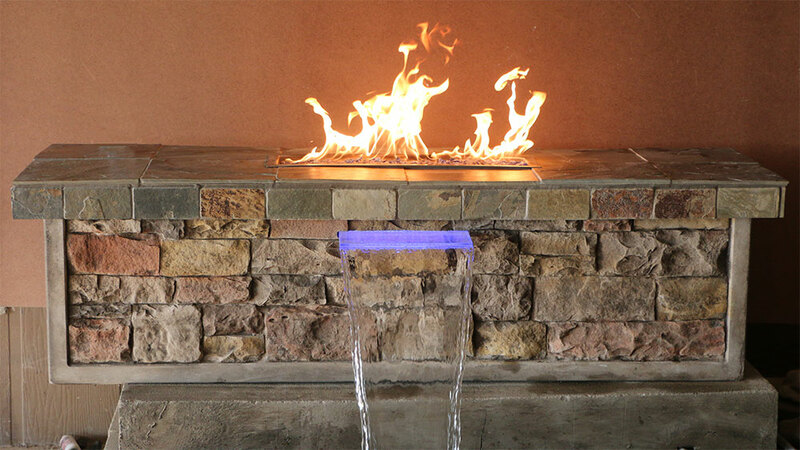 Adding the element of fire can truly make your space inviting no matter the season. 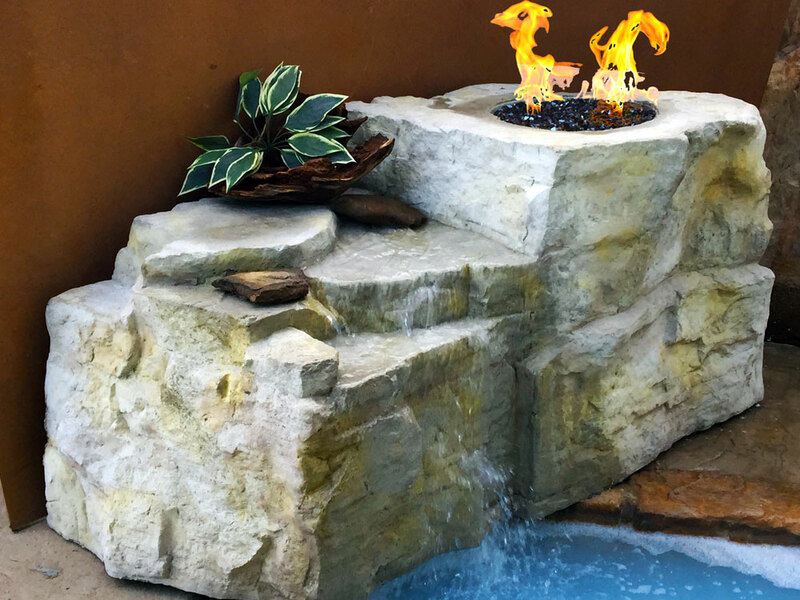 Either with a natural rock incorporating fire or adding a fire element to a waterfall or bar top this will become the main destination for all as the sun sets in the evening. 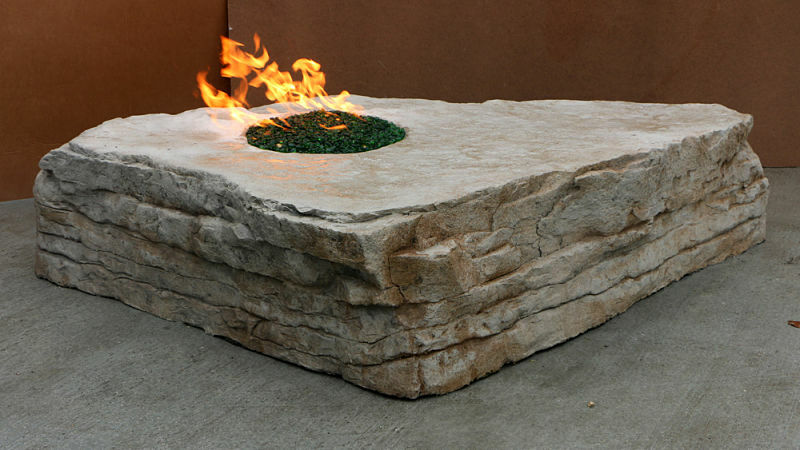 This natural large Boulder Fire Pit becomes a main feature point inviting you to sit on or prop up your feet to relax on a chilly evening. 63” long, 48” wide, 15” high, / 300 lbs. 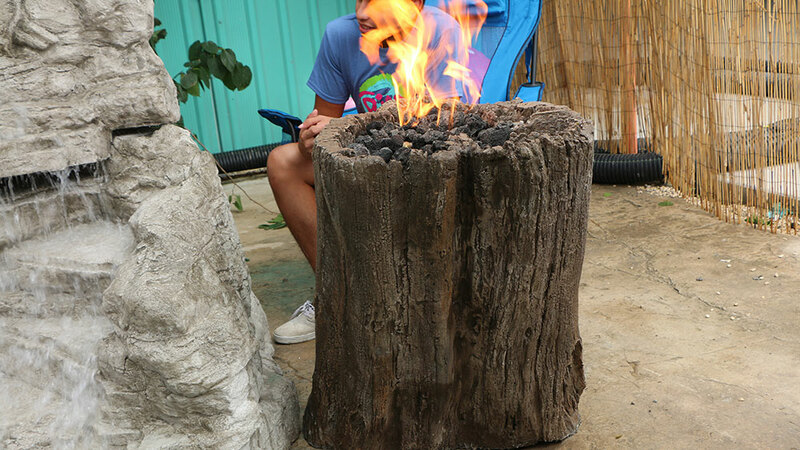 Molded from an ancient stump on a Virginia Plantation, the hollow cavity conceals the propane tank for a unique fire feature. Available as a bench or add Colorfall feature and/or a fire effect. 70” long, 20” wide, 20” high, / 300 lbs. The Countertop is a great functional piece for a Out Back Living environment. 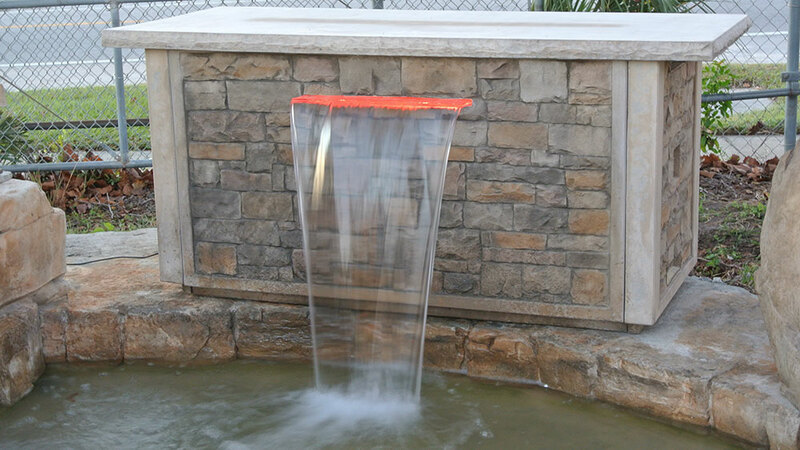 Options include a 24 Inch Colorfall or a 48 inch Linear Fire effect. The back is open, ready to welcome bar height chairs. 72” long, 32” wide, 32” high, /300 lbs. 67” wide, 34” deep, 32” high, / 300 lbs. 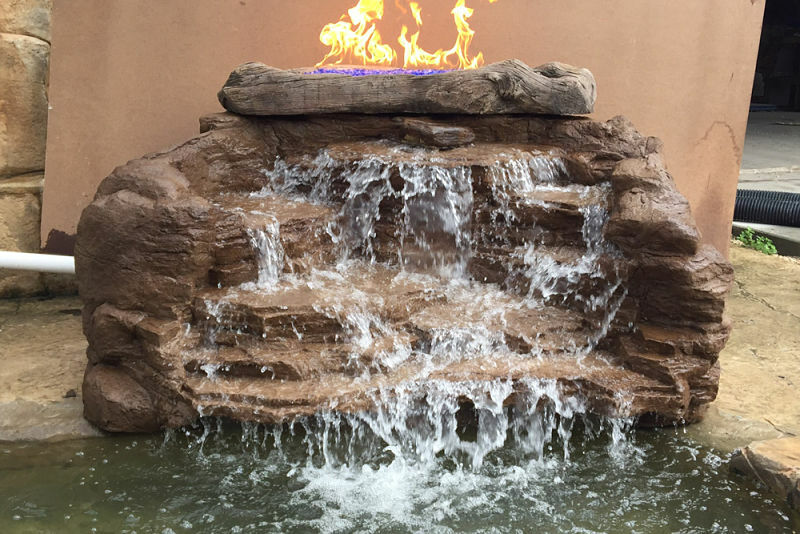 May of our waterfalls feature ample space for propane tank storage and our weathered driftwood planters easily convert to a stunning fire element that can be added to any waterfall. Ready to Gather around the fire? Contact your local dealer and see what options suite your Out Back Living space.